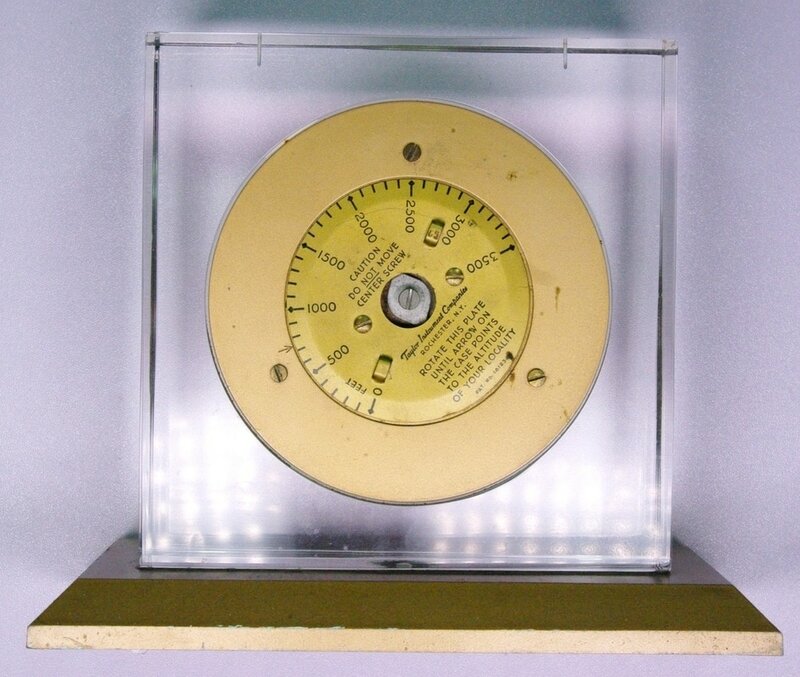 ​This Taylor 2596 'Solitaire' Stormoguide barometer dates from the 1950s. 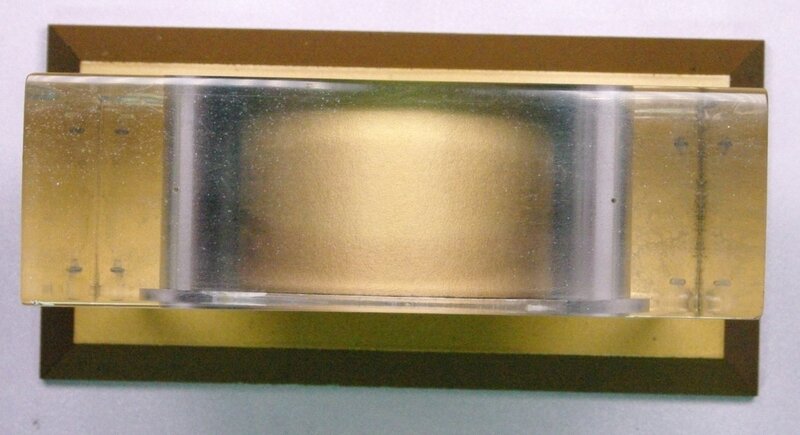 The instrument is housed in a solid acrylic block. It has the Taylor elevation dial on the back of the instrument to set the site elevation from 0 to 3,500 feet, so that sea level pressure is displayed. A separate version was available for 3,500 to 7,000 feet. It also has the Taylor 'Signal' window on the bottom of the 3.25 inch dial that indicates if the barometric pressure is rising or falling. Based on this information and the indicated pressure, the Stormoguide dial provides a weather forecast. Taylor started using Stormoguide dials in the 1920s and reverted to a conventional dial on its home barometers in the early 1960s. Go to the Taylor catalog page.